It’s a big deal. The White Paper is meant to transcend party loyalties and shape Australia’s approach to the world for more than a decade. So, what does the paper say? What does it mean? And what are the big questions it’s grappling with? Are we facing a more dangerous future? The three words on the White Paper’s cover are “Opportunity. Security. Strength”. That’s a pretty quick segue from the sunny optimism of “opportunity” to the hard language — “security, strength” — of brute force. And the White Paper opens with a blunt assessment: our great and powerful friends are becoming less powerful. “Powerful drivers are converging in a way that is reshaping the international order and challenging Australia’s interests,” it says. This might be a statement of the obvious, but it’s pretty stark language for the notoriously careful Department of Foreign Affairs. The White Paper points out that China’s economy has, by some measures, already eclipsed America’s. Australia doesn’t see the decline of the US as inevitable. In fact, we are betting against that. But there’s at least one big problem. US President Donald Trump’s name does not appear once in the White Paper — but his spectre still looms over the whole document. Power might be slowly ebbing away from the US but the Mr Trump’s embrace of isolationism and protectionism has stoked fears that trickle might turn into a flood. The White Paper has a clear message for Mr Trump and for all US policy-makers: don’t step away from global leadership. That would be a mistake. Australia’s trust in the United States has halved since 2011, but most still think the alliance is important, according to polling. “The Government recognises there is greater debate and uncertainty in the United States about the costs and benefits of its leadership in parts of the international system,” it reads. The paper says the US alliance will remain the bedrock of Australia’s security and needs to be broadened and deepened. It predicts America will retain military superiority for “the foreseeable future”. But Australian policymakers believe that if America withdraws from the network of alliances it has built across Asia — or moves its aircraft carriers and submarines out of the Pacific — then China will be the chief beneficiary. And the White Paper warns a US retreat will only stoke conflict and make the entire region more unpredictable and dangerous. “Without sustained US support, the effectiveness and liberal character of the rules-based order will decline,” it says. We asked for your thoughts on the foreign policy White Paper. Read the discussion in the comments. China. Should we be worried? China’s inexorable rise has powered Australia’s economy for two decades. But it’s also a source of deep anxiety for our foreign policy establishment. That’s because China is ruled by an authoritarian regime. The White Paper hints at this, politely, by observing that Australia and China have “different interests, values and political and legal systems”. As a result, “friction” is inevitable. Has China shifted up a gear? Representatives of the Chinese diaspora have responded to the consulate’s soft power plays. Some of the friction is obvious. Diplomats in Canberra accuse China of trampling on international law in its territorial disputes with neighbouring countries in the South China Sea. 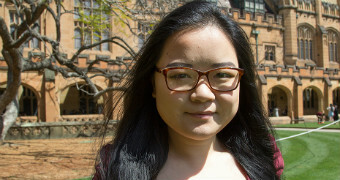 They’ve also privately blamed the Chinese Government for cyber attacks against Australian institutions, and say it has made aggressive attempts to build up its influence within the Chinese community in Australia. The White Paper doesn’t delve into this directly. But it talks a lot about how we can try to shape our relationship with Beijing as China continues to gain heft. The first thing we need to do is keep on building deeper links with China across the board. The paper says we should expand military exercises with Chinese forces, where possible. We need to keep on expanding our diplomatic footprint there. Australia already has good access to the Chinese leadership and the White Paper says keeping this up will be crucial. “Regular and substantive engagement at senior levels will be essential to achieving our ambitions for the relationship,” it says. 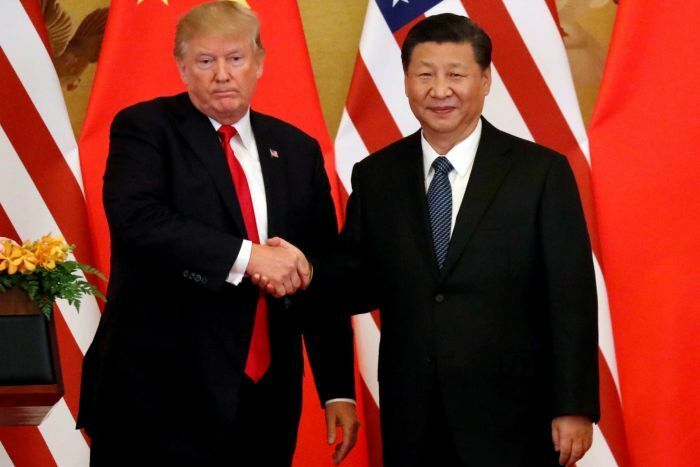 The paper says Australia also needs to do everything it can to convince China, and the US, that their interests are served by further liberalising their economies, and playing by the rules which have governed the region for decades. They also suggest Australia could play a role as an honest broker, defusing conflicts between the two giants. 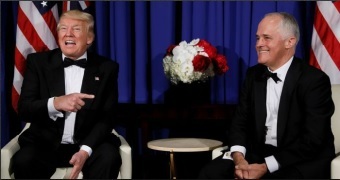 “Australia will encourage the United States and China to ensure economic tension between them does not fuel strategic rivalry or damage the multilateral trading system,” it says. But the paper also recognises Australia’s capacity to shape events outside its borders is limited. There a real risk that the US-China rivalry spirals into a conflict. A stable and peaceful Asia is “not assured”. If the US does retreat, and China becomes more unpredictable, what else can we do? After all, the Asian Century is not China’s alone. The White Paper points out that countries like Indonesia and India are also growing rapidly and will be big players in the near future. This complicates the picture, but it also offers plenty of opportunities. “The Government will lift the ambition of our engagement with major Indo-Pacific democracies,” the paper reads. Australia is already building an increasingly complex web of strategic partnerships and dialogues with major Asian countries — many of whom are equally wary about China’s behaviour. Officials insist these groups are not about containing China — but there’s no doubt that the “shared vision” of the future is not the one shared by some in Beijing. The White Paper recognises that if Australia wants to secure open markets, freedom of navigation and international law in the region, then it needs Asian partners — and Asian democracies — who want the same thing. Finally, the White Paper mounts a full-throated defence of an idea which has taken a battering across the West in recent years — free trade. “Openness makes sense for Australia and for global growth and prosperity,” it says. The paper lists all the free trade deals Australia has entered in recent years — and makes it clear the Government will keep on pushing for new agreements. A new deal with Indonesia is the top priority. Economic protectionism is resurgent in the US and Europe. In Australia, the bipartisan consensus that free trade is a good idea is fraying around the edges. But the White Paper’s authors insist Australia must keep on trading. It says we are an export nation and that’s where our success lies. In other words — there’s no turning back.